If you are like most couples, despite your best efforts, you struggle with communicating in healthy and effective ways. And if you are like most couples, you have become frustrated (very!) at not only how the breakdown in communication continues to affect your relationship, but your difficulty making strategic and needed changes to get it back on track. I get it. We have all been there. 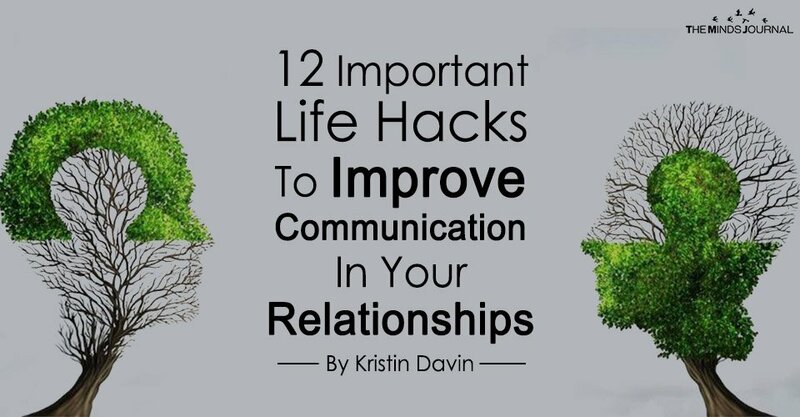 Yet, despite feeling overwhelmed, I am here to tell you there are shortcuts or life hacks that can and will take your relationship from bad to good and from good to great even if both of you are stuck in sadness, anger, disappointment, and resentment. Now, let’s be honest. Making changes will be challenging but if you are reading this it’s because no doubt you want to do something different. You need to do something different. You want to get off the gerbil wheel and stop having never-ending, circular conversations that go nowhere. Fast. As this only makes you feel more defeated and thinking that things will never get better. To get to a happier and healthier place and work through the negative feelings you are experiencing, doing these things will help your relationship exponentially if you take the initial steps and decide that you really want to change your relationship communication. Make a commitment to yourself and your partner/spouse that you are going to start making individual changes. The best gift is if both of you are on the same page and want to make changes to improve the relationship. But the truth is, relationships change and grow with individual changes. 2.) A soft start up. This is framed by asking, is this a good time to talk? If not, when would be a good time for both of us? 3.) Create a safe space. Turning towards them as a way to bid for their time and attention helps people get connected. They feel like a team. 4.) Decide that no ideas are bad ideas. The goal is to start the process of talking, listening, and resolving. This often means both people making suggestions to get to a better conclusion. Learn to listen and reflect so that your partner or spouse feels they are being heard. There is nothing more important than that feeling. It simply diffuses the tension. Let them know what they have to say is important even if you don’t agree. Each person gets time to speak, with NO interruptions by the other person. No exception. If you struggle with this, get a pad of paper and write things down. 6.) Monitor your tone and inflection. Being mean, snarky, rolling your eyes, being dramatic, demanding, and defensive will keep you and your relationship in ‘park.’ Is that what you really want or do you want to shift it to drive? Talk to them like you would a friend. Be kind even if the other person isn’t. Learn to bring your best self to every conversation. Hey, it never works so don’t do it. Simple as that. Ask the questions in a way to understand your partner or spouse. Be invested in where they are. People who try to mind read are by and large, most of the time, wrong.